House at Belle River: Wind Concerns Ontario asked the ECO for a systemic review of problems with wind turbine noise. No action was taken. Ontario’s Environmental Commissioner or “ECO,” lawyer Dianne Saxe, sent out a Tweet on Friday to say that in spite of the fact her office is being folded into that of the Ombudsman for Ontario, and her own position is disappearing, for the moment, she will continue to monitor for compliance with environmental regulations. Unless the problems relate to wind power, of course. On that issue, Ms. Saxe, a former member of the board of directors for Toronto’s Exhibition Place wind turbine, is notably and consistently missing. 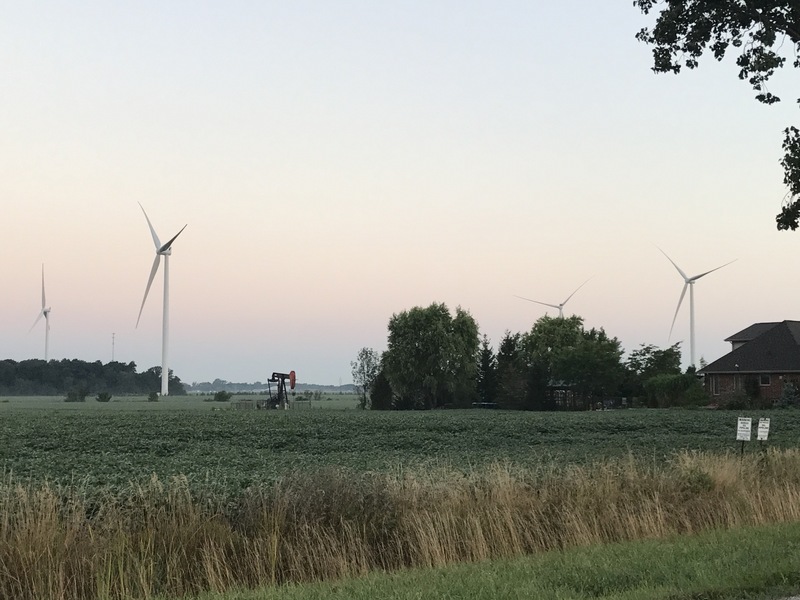 In 2016, Wind Concerns Ontario wrote a long, detailed letter to the ECO, after receipt of records of more than 4,000 complaints of excessive noise from wind turbines. In the Master Incident Reports we received — detailed reports prepared by Provincial Officers — there were more than a few reports of adverse health effects being experienced by the people filing complaints with the environment ministry. By our count in the records from 2006 to the end of 2016, 35 percent of the master reports contains explicit mention of adverse health effects. This did NOT include the reports made in the small hours of the night when one might logically conclude that callers were experiencing sleep disturbance. We request that the Environmental Commissioner’s office undertake a full broad review of systemic issues related to the MOECC’s management of the implementation of the Green Energy Act. From our perspective, the documentation shows a complete failure to take accountability for its legislated responsibilities. At the same time, there is clear evidence that the legislation and rules currently used in relations to wind turbines are not sufficient to protect the health of nearby residents. We hope that you will give a priority to this review as the Ministry is continuing to process approvals for new wind turbine projects based on a set of regulations that are clearly inadequate. We also attended a meeting at Queen’s Park in 2016, organized by then Opposition environment critic MPP Lisa Thompson, to present these concerns. The ECO response? Priorities for the office are set well in advance, they only deal with a few things a year. You’re not on the list, have a nice day. Many reasons have been given for opposing wind farms, including a powerfully held belief that wind turbines are harmful to human health, often because of turbine noise. All of the 46 wind projects appealed to the ERT have used serious harm to human health as one of the grounds for appeal.12 After extensive expert evidence, and having considered numerous studies from around the globe, the ERT has consistently dismissed appeals based on alleged harm to human health. The sole exception was the Fairview wind project in Simcoe County, which was proposed to be located too close to the Collingwood airport, thus affecting aviation safety. The noise impacts of wind on people are controlled through noise limits in the REAs, and through mandatory setbacks established by the Environmental Protection Act. So, despite the multitude of complaints of excessive noise, vibration/sensation and shadow flicker or strobe effect which clearly indicated a problem that was not being resolved, the ECO maintains that wind turbine operations in Ontario are being properly monitored and that the existing protocols are adequate for protection. Thank you for the back-up and reminder of history!!! !